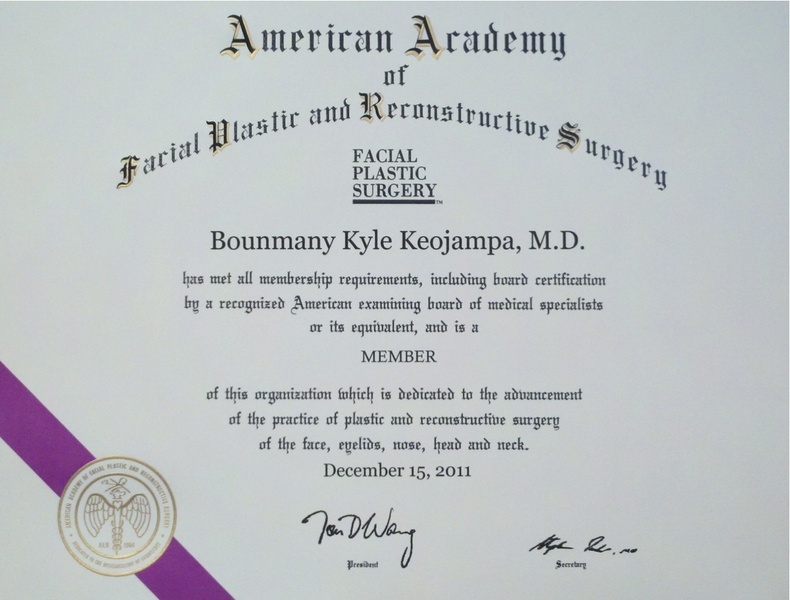 Dr. Kyle Keojampa is a graduate of Pepperdine University and the University of Texas Medical Branch School of Medicine at Galveston. 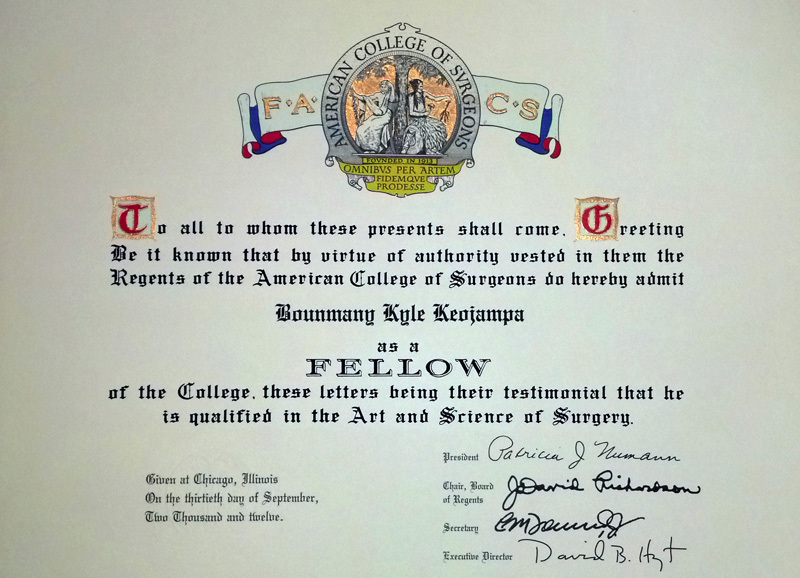 His general surgery internship and Otolaryngology - Head and Neck Surgery residency were completed at the Boston University Medical Center. He has volunteered on international medical missions to Honduras and Laos. In February 2011 and 2012, he led a surgical team of Lao surgeons and anesthesiologists to performed cleft lip/palate, thyroid, reconstructive, and ENT surgeries in Laos with the Lao Rehabiliation Foundation. . He has presented at numerous national meetings, and has published in a number of scientific journals, including Otolaryngology-Head and Neck Surgery, and recently authored a book chapter on nasal surgery in the textbook of Rhinology and Facial Plastic Surgery. He is a Clinical Assistant Professor of Otolaryngology-Head & Neck Surgery at Boston University and Tufts School of Medicine, and a Clinical Instructor at Harvard Medical School. 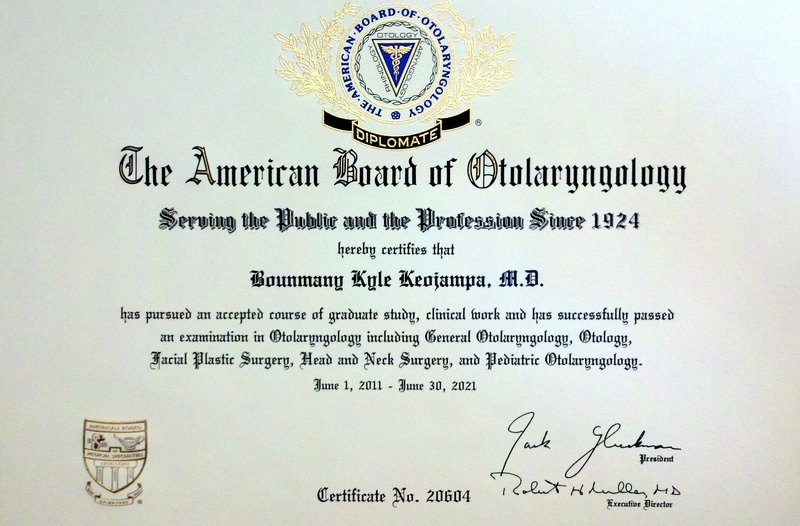 Dr. Keojampa is one of the few head and neck surgeons in New England trained in daVinci Robotic surgery and is board certified in Otolaryngology-Head & Neck Surgery. He has special interests in minimally invasive thyroid and parathyroid surgery, facial plastic and reconstructive surgery, and allergy.